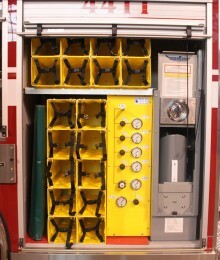 Keep your SCBA cylinders and fire extinguishers organized and protected. 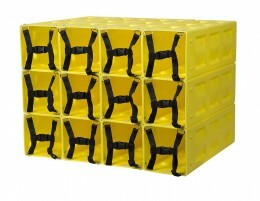 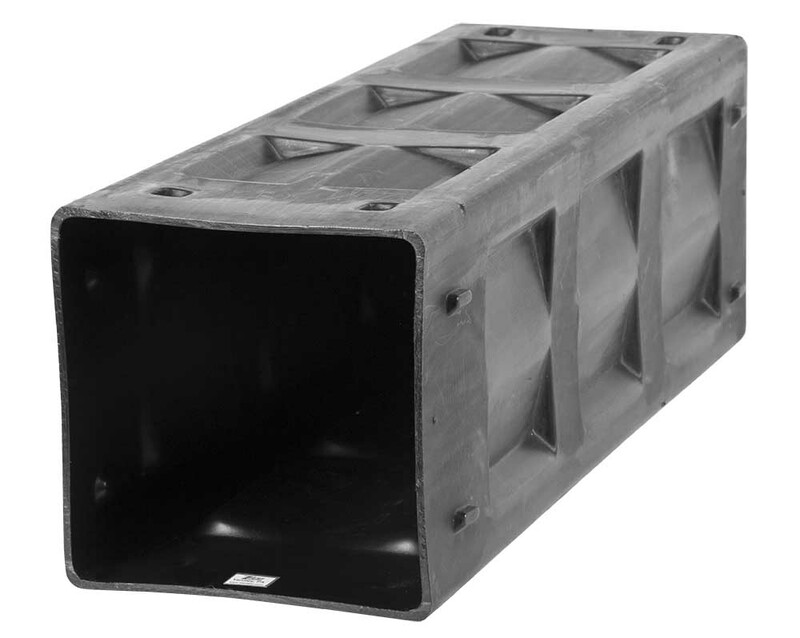 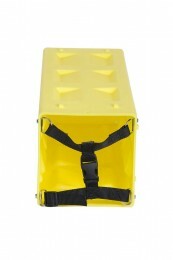 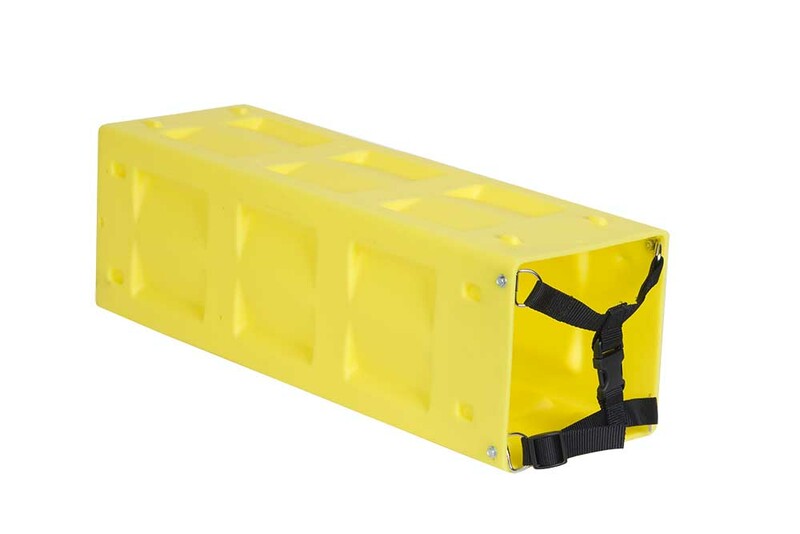 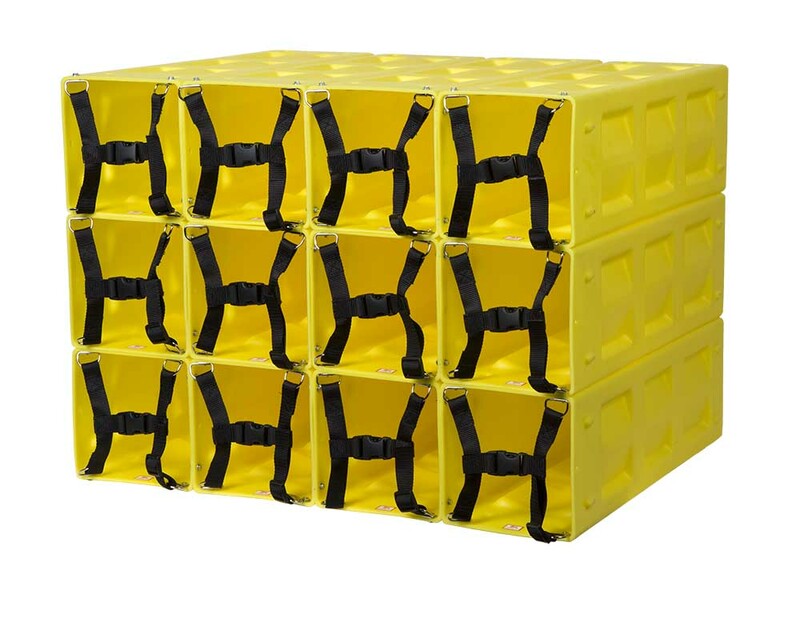 These rugged, molded plastic units are stackable for maximum usage of available space. 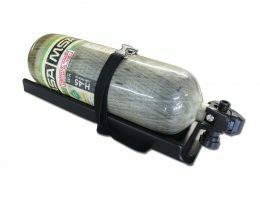 Fits any air cylinder and most common 20 lb. 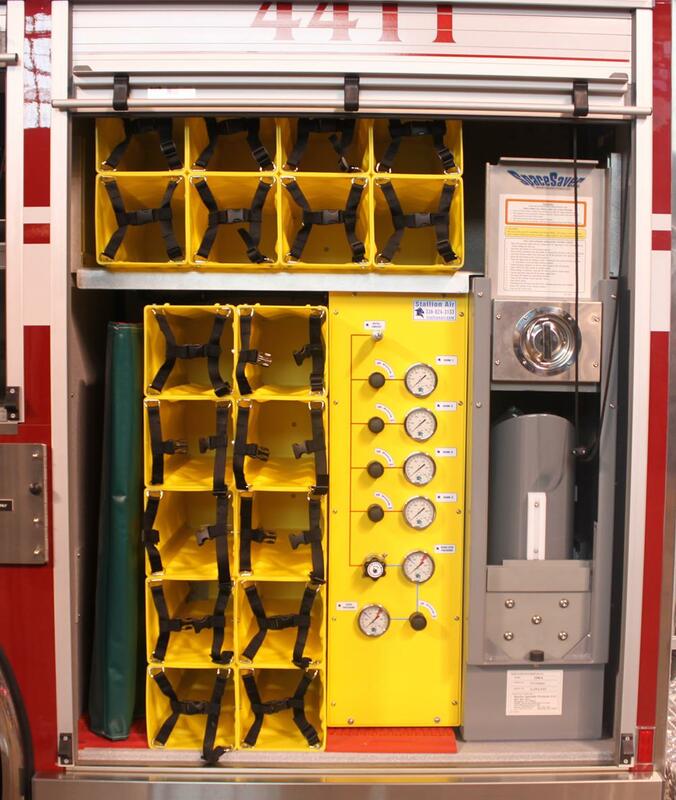 or smaller extinguishers. Units may be mounted horizontally or vertically. Strategically-placed holes allow for air flow and water runoff. 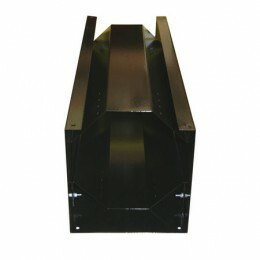 Each unit measures 8″ square x 24″ long and holds one cylinder. 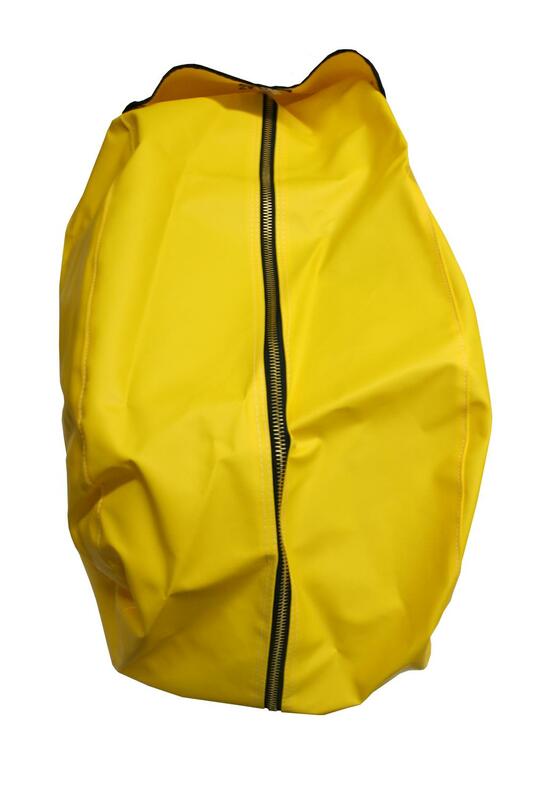 Yellow in color. 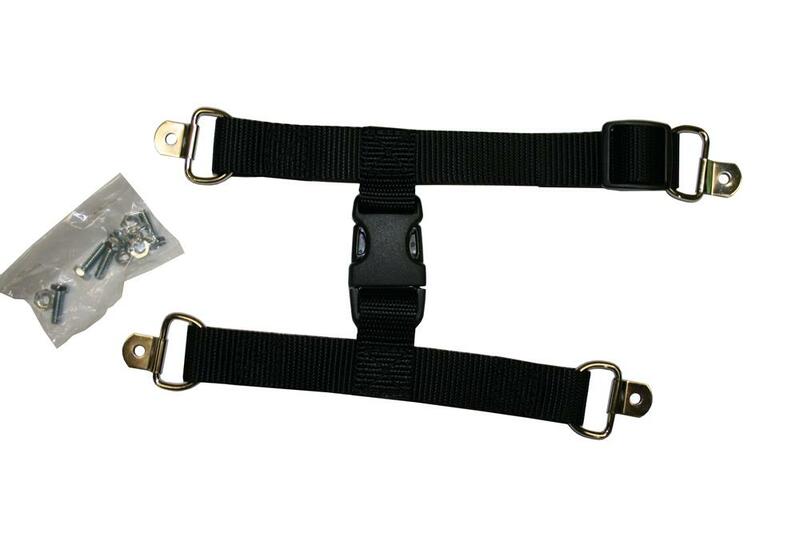 Restraint straps sold separately, see Model PACSR-RS.